When I started designing my car, and later when I started my company, I knew that I didn’t know what I was doing, but I always believed I could figure it all out. That’s it really. Sometimes that’s all it takes. Not a problem, this one I have covered. Stupid rules are made to be broken. From studying for my degree picking the courses I wanted, even when I wasn’t accepted into the specific programs, applying instead after I had completed them, to doing business unconventionally, figuring out things as we go. It goes without saying, I have failed a lot. When you try everything for the first time, it sort of comes with the territory. This does not only mean haters, it also means ignoring your friends or family members who may not share your faith. It takes a strong mind to remain dedicated and committed, specially if everyone around you thinks you are wasting your time, and won’t succeed, and definitely if your goals are to do something that hasn’t been done before. In Ryan Cavalieri’s words: “I don’t know how you do it. I don’t know how you have time to do anything.”. Well, basically by not having a life outside of JQRacing, it is actually possible. This is the one that I feel like I fail at the most. Spreading oneself too thin only means being average at everything, and not doing anything as well as possible. I feel like I leave too much on the table. 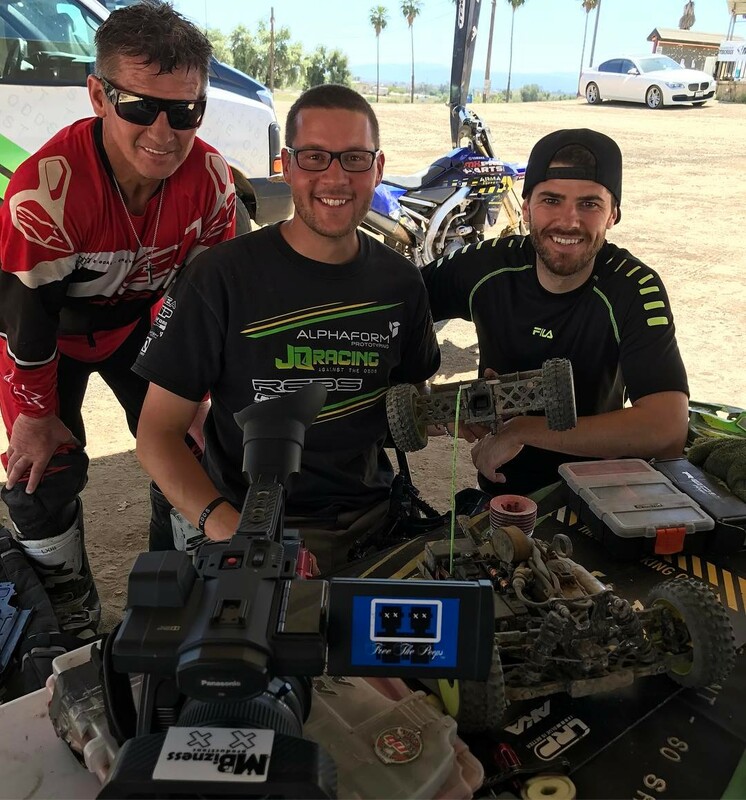 I try to give good young drivers with the right attitude and dedication the opportunity to achieve their goals in RC racing. I provide a ton of content such as this, for free. Outside of RC I give back too, but that’s a different story. Good things happen to good people, so try and be a good person. 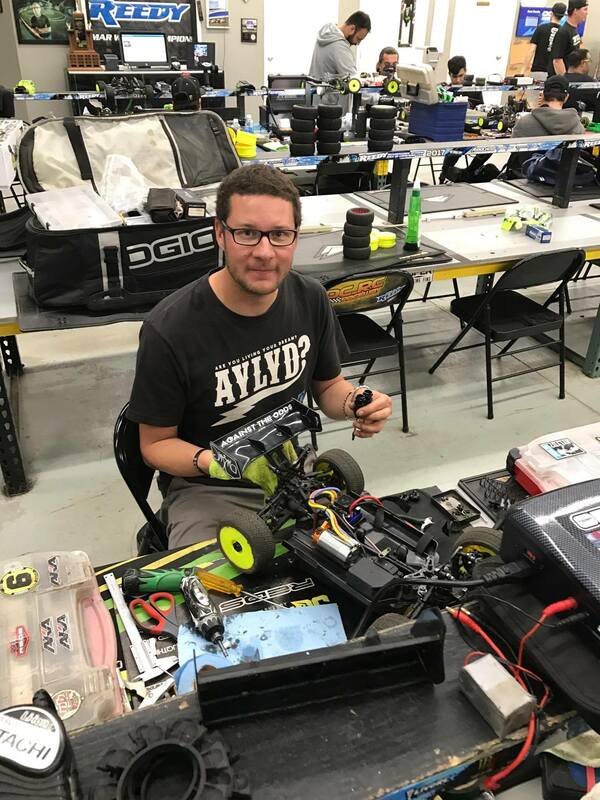 Today I went to club race at OCRC with David RONNEfalk, and rebuild my nitro buggy for tomorrows Grassroots series race at Dialed In, where I am going to take down the World Champ. He is getting far to confident and cocky, and I can sense a Ken Roczen type miss calculation in his near future. I need to be sure to have the rest of the field covered when the Champ’s downfall takes place. Today I raced 2wd and 1:8th. It was the 1st time I raced my 1:8th buggy and it was really slow to begin with, I made a couple of changes, thicker oils, harder springs, thinner sway bars, and got it a lot better for the main. In 2wd I was breaking in new tyres, and my diff really sucked, but as I was building the nitro there was no time to fix that. This picture was taken exactly 3min before the 2nd qualifier. I missed the start by 3 seconds, and drove from the bleachers on the opposite side of the drivers stand. So the 2wd main was a repeat of the DNC B main. The faster guys just kept crashing, and I motored along, had a big lead, and eventually they caught and passed me, right before the end. The 8th scale was a big more interesting. Please watch the epic move I put on David at about 4:20 in the race video above, and watch his really rude Scandinavian Sandwich on the back straight at 6 minutes. That is the most fun I have had racing RC Cars in a long time! This is when David told me he is leaving now. It was past 11 and racing was over, I still had some stuff to do! America 1st, Finland 2nd – Greatest Video Ever! It’s Tremendous, I Tell You! I’m so mad about Ken Roczen’s crash I can’t write anything sensible. Here are a couple of videos, the first one is the best race of the event so far, between Joona H and Ty T. The second is the greatest start of the event, by me. 6th place is a bad place to start they said, lol. Just Another Phend JQ battle – Said no one ever. The last club race before the Reedy Race went quite well. I finished 2nd in both classes behind Dakotah Phend. In 2wd I had no chance, I was far behind, 7 seconds back I think after the 7 minute main. In 4wd it was much different, as you can see in the video here! If I can drive well at the Reedy, and I get a front row start in 4wd, I think I could pull off a win in a main! That would be something special! It has always been a dream of mine. New year, same dream. Somewhat stronger now that tangible progress has been made. Thank you to everyone that has supported me over the years, and to everyone that continues to do so today. I have not given up yet. It’s still possible. 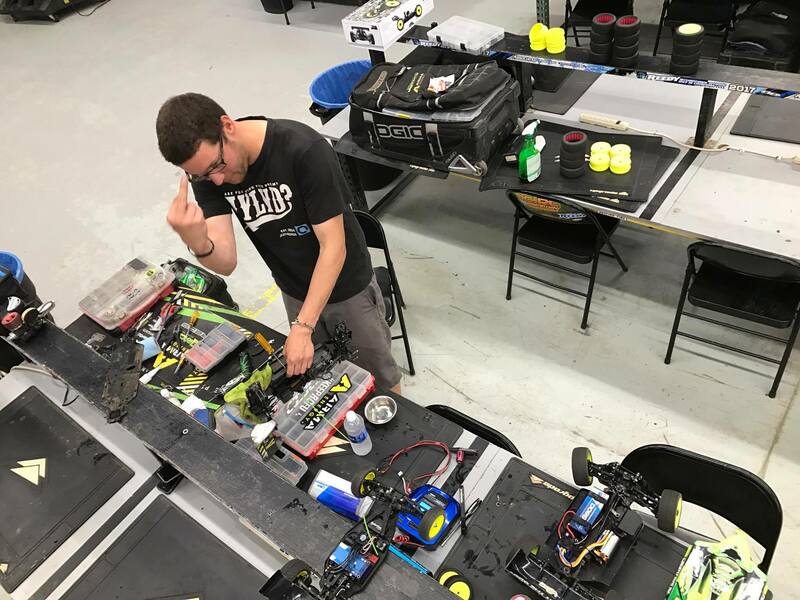 Revelation Raceway put in a new layout, and it’s dialed! Still a few modifications left to do, but it’s already fun. Revelation is hosting the 2nd round of the Top Notch Series this saturday, so prepare your cars and get out there!